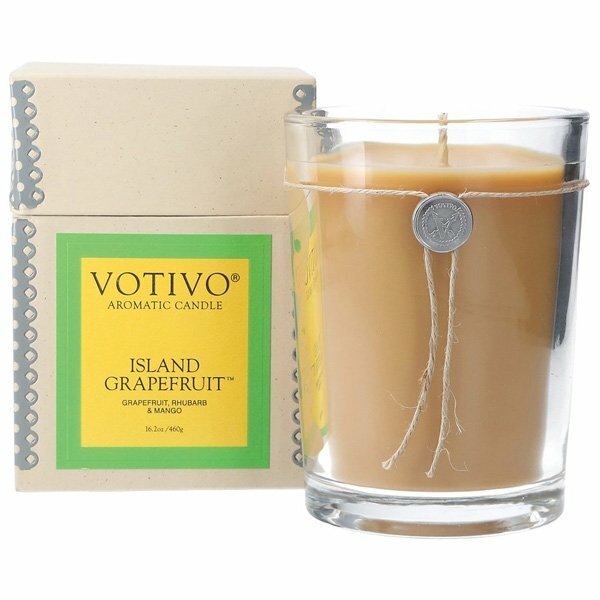 Votive Large Island Grapefruit Candle transform your home into your very own paradise island, combining grapefruit with a fresh island breeze. Grapefruit. Rhubarb. Fruity Floral. Mango. Caramel & Musk. Supersize your Votivo Aromatic Candle experience with the 16.2 oz Large Candle. Enjoy your favorite fragrance even longer with a burn time of up to 100-110 hours.